Obaseki gave the directive after inspecting facilities and components that make up the ILS being installed by the state government in collaboration with relevant federal government agencies. 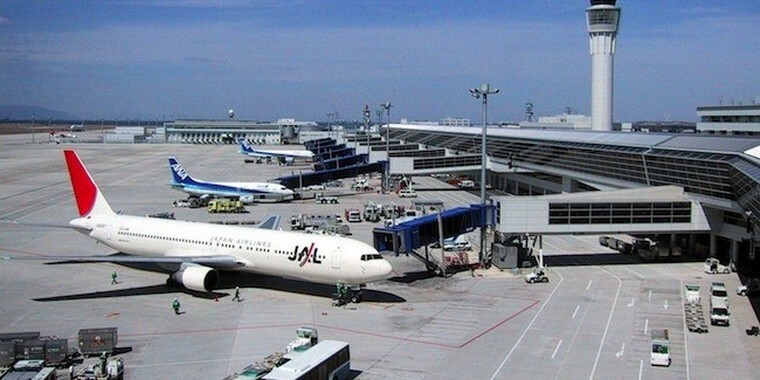 The installation of the facilities is expected to make room for 24-hour operations at the Benin Airport. Before inspecting the facilities, the governor had a closed-door meeting with the Commander, 107 Air Maritime Group, of the Nigerian Airforce, Wing Commander, Fatai Ganiyu, who later accompanied the governor on inspection of the equipment, with officials of the Federal Airport Authority of Nigeria (FAAN) and the National Airspace Management Agency (NAMA). Obaseki directed the Wing Commander and State Director of the State Security Service to immediately launch an investigation into the incident, adding, "I assured Edo people that our Airport will render 24-hour services and we have been working on that with the relevant federal government agencies to see how we can get the necessary equipment in place to allow this happen." "We have been able to secure the ILS and the necessary equipment; we also have an agreement to put runway lights so that planes can be guided to land at night. Work has started but there is little incident as some of the equipment bought last week have been stolen. We have brought in security agencies to investigate and get the culprits arrested and ensure the work proceeds as desired," Obaseki added. He noted that the state government provided bulk of the resources used for the ILS project not minding that the airport is a federal asset, noting, "Our goal is to ensure that before the harmattan season, the Benin Airport will be ready to function as a 24/7 Airport and more importantly, have the landing system to navigate flights even in bad weather." The Instrument Landing System (ILS) is a radio navigation system which provides aircraft with horizontal and vertical guidance before and during landing. A source at the airport who does not want his name in print, said some equipment in the Glide Slope, a component of the ILS, which provides the vertical guidance was stolen while facilities at the localiser component were intact. Remember the theft years ago now, of the original Grasmere VOR (GAV)? It was near the N1 tollplaza. Through the first three quarters of the year, general aviation deliveries rose 6.1 percent over the same period in 2017, while overall billings declined 3.1 percent to $12.7 billion, according to statistics released by the General Aviation Manufacturers Association (GAMA). Photo © Textron. Business jet deliveries increased by 3 percent, from 433 in the first nine months of last year, to 446 in the same period of 2018. While the overall deliveries increased, this year's total consisted of a higher concentration of smaller, less expensive jets, leading to the decrease in billings. Pressurized turboprops saw a better-than 5 percent increase year-over-year, rising from 175 deliveries a year ago to 184 through the first nine months of 2018, and the turbine helicopter market also showed an improvement of 8.3 percent, jumping from 471 deliveries a year ago to 510 in the first nine months of 2018. "This is one of those few times since the great recession that we have seen all segments up in shipment numbers," said GAMA president and CEO Pete Bunce. "While there remain some soft spots in a few segments, including business jet deliveries and impacts being felt from global trade disputes, I'm optimistic about our industry's performance in 2019 given continuing healthy demand for tax expensing, stabilization of the used market, and the number of new products being introduced to the marketplace." Market demand remains strong for the Swiss single-engine turboprop, as the 1,600th PC-12 enters service and readers of Professional Pilot magazine rated its customer service tops in turboprops. Pilatus Aircraft Ltd expects to deliver 80 new PC-12 NGs in 2018, extending the distinction earnt by this multifunctional aircraft of scoring the highest annual sales volumes of all turbine-powered business aircraft. Photo © Pilatus. Continued enhancements to the company's service network and policies, such as additional Authorised Pilatus Service Centres around the world, 24/7/365 global support, and expanded maintenance intervals, have helped drive greater customer satisfaction and lower direct operating costs. Demand for the big single remains strong around the world, and is diversified across a number of market segments including corporate, fractional, charter, air ambulance, owner-flown, and special mission applications. Because of the versatility of the platform, independent data services such as JetNet, VRef and Bluebook indicate that demand for pre-owned PC-12s remains very high, with the total percentage of fleet for sale hovering around just four percent. This high level of demand has had a direct impact on long-term residual values of PC-12s, which maintain approximately 80 percent of their original retail price. Rolland Vincent, President of the aviation market strategy and research firm Rolland Vincent Associates LLC, observed: "Business aviation stakeholders - including aircraft owners, operators, lenders, lessors, dealers, brokers, and appraisers - should take note of the unique market performance, competitive positioning, and residual value retention of the Pilatus PC-12. Reflecting Swiss design expertise, high-quality engineering, operations savvy and production and pricing discipline, the PC-12 is unrivalled in retaining value in its market segment." "Many of our customers come into the PC-12 for the simple reason that it represents the best combination of comfort, performance, value, safety, and efficiency available at any price", said Pilatus Vice President of Marketing Tom Aniello. "Whether the economy is going up or down, whether it is someone's first turbine aircraft or an addition to a fleet of jets, we've yet to hear anyone regret owning and operating a PC-12. We repeatedly hear that if they could only have one airplane forever, it would be a PC-12." Ignaz Gretener, Vice President of General Aviation for Pilatus Aircraft Ltd, has managed the PC-12 programme since its certification. Gretener commented as follows: "We've come a long way with the PC-12, and have learned a lot from our customers in over seven million flight hours and 1,600 delivered aircraft. Together with our trusted and reliable partners Pratt & Whitney Canada and Honeywell, we will continue to innovate and enhance this platform to maintain Pilatus' leadership in both in sales and in service." The growing use of Daher's TBM very fast turboprop aircraft in charter services is being highlighted at this week's 2018 NBAA-BACE Business Aviation Convention and Exhibition, where the first operator of a TBM 930 for commercial flights was the invited headliner. Photo © Daher TBM. During a press conference at the annual NBAA-BACE meeting in Orlando, Florida, Mountain Lion Aviation was introduced as the initial TBM 930 user for charters, benefitting from the speed, comfort, efficiency and operational capabilities of this top-line version in Daher's TBM 900-series aircraft family. Since acquiring the TBM930 last year, Mountain Lion Aviation has built up an impressive volume of services with the aircraft - flying 430 hours on 300 commercial flights that carried a total of 475 passengers. Mountain Lion Aviation is based at California's Truckee Tahoe airport (KTRK) and was created as both a charter operator and flight school. Its location in the Sierra Nevada Mountains near Lake Tahoe places the company at a hub for technology-sector executives, entrepreneurs, business owners and other professionals who live, visit, or own a second home in the Truckee-Tahoe region - a popular destination on the border of California and Nevada. With the TBM 930's introduction into its fleet, Mountain Lion Aviation is offering personal transportation tailored to a high-value customer base seeking quality transportation that saves time and avoids California's notorious traffic-clogged roads. Daher's TBM aircraft family responds to the expanding use of single-engine turboprop aircraft in air charters. In addition to U.S. commercial services, where numerous TBMs currently are employed for charters performed under FAA Part 135 certification, they are expanding worldwide - including Europe, which last year approved such operations with pressurized single-engine turboprops. Many of the TBMs in commercial service worldwide today are earlier-production aircraft. Mountain Lion Aviation's use of the TBM 930 demonstrates the ability of operators to employ Daher's latest versions - the TBM 930 and TBM 910 - in profitable charter services. "The TBM 930 is a unique aircraft: fast and cost-efficient, perfect for our activity, which we describe as being a 'mobility solution' provider - with full transportation services from door-to-door," explained Mountain Lion Aviation CEO Jim Wilkinson. "Most of our flying activity is on-demand for elite business leaders, and the TBM 930 is the perfect aircraft for these missions." Under the contract concluded with the British company QinetiQ in 2016, Pilatus is to provide two PC-21s to the "Empire Test Pilots' School (ETPS)" based in Wiltshire, in the south of England. Operated by QinetiQ, ETPS functions as a training centre for flight test engineers and test pilots, and enjoys an excellent reputation worldwide. Photo © Pilatus. Markus Bucher, CEO of Pilatus, presented a traditional Swiss souvenir to Steve Wadey, CEO of QinetiQ Group Plc to commemorate the delivery and handover of their first PC-21 trainer aircraft. The second PC-21 will be delivered in the fourth quarter of 2018 and will be used for test pilot training courses commencing early in 2019. The acquisition of the two PC-21s forms a key part of a transformation and modernisation project currently underway at ETPS. Steve Wadey commented: "We are delighted to see a PC-21 operating in the UK for the first time. These aircraft will have a primary role in the training syllabus. We are very pleased that, with Pilatus support, we are on track to deliver new training services for the benefit of our customers." The delivery of the first PC-21 is another key milestone in the process of developing and strengthening the relationship between Pilatus and QinetiQ. Markus Bucher said: "We are extremely proud that our PC-21s were selected for the prestigious Empire Test Pilots' School. QinetiQ is the ninth member of the family of PC-21 operators. We are confident that the many international test pilots who will fly in these PC-21 aircraft in UK skies will benefit from continuing investment in the development of this trainer aircraft. With the PC-21, the best future test pilots will be trained with the world's most capable training system." The B-29 Superfortress known as Doc has officially moved into its new home in Wichita. The new 32,000 sq.ft. B-29 Doc Hangar and Education Center is located at Eisenhower National Airport and will provide the backdrop for Doc's Friends volunteers to maintain and continue to operate the historic warbird. Photo © Doc. Construction on the $6.5 million facility began in November of 2017 and while the hangar and maintenance portions of the facility are completed, work continues on the education and visitors centre portion of the project. The work includes the need to to raise an additional $800,000 to help finish the education and visitors centre. "Over the past three years, we've raised about $5.7 million toward the $6.5 million project," Wells said. "While we have successfully raised enough money to build the structure, there's still plenty of work to be done to finish out the interior of the facility. This will ensure generations to come will be able to learn about Greatest Generation and how the B-29 helped protect our freedom, and how it helped solidify Wichita as the Air Capital of the World." The Doc's Friends maintenance crew will begin the scheduled winter maintenance activities for the warbird later this month. Construction and installation work for the education and visitor's centre is expected to be completed by the end of the year, pending additional funds raised. 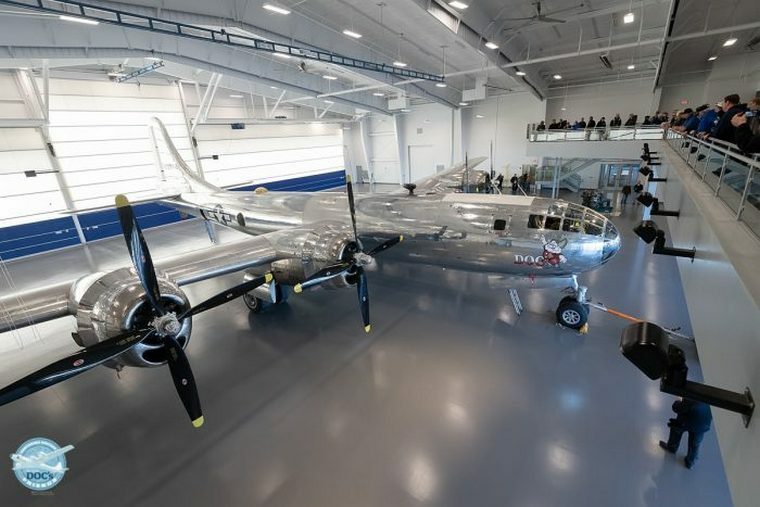 The B-29 Doc Hangar and Education Centre is expected to open to the public in January. Enstrom Helicopter Corporation was granted New Zealand Type Acceptance for its Enstrom F-28/280/480 Series helicopters by the Civil Aviation Authority of New Zealand in September. Photo © Enstrom. "The Enstrom helicopters, with their rugged features and great safety record are a perfect fit for New Zealand," said Dennis Martin, Director of Marketing and Sales. "The three bladed, fully articulated rotor system is a good choice for the windy conditions & mountainous terrain." Enstrom piston aircraft have been operating successfully in New Zealand for many years, however, this latest Type Acceptance updates to the latest certification on those aircraft and also approves Enstrom's turbine powered 480B for operation in New Zealand. "We are very excited about introducing the 480B to New Zealand," commented Martin. "Already the first 480B is on its way from the US, and we look forward to customers there getting a chance to see what a modern, cost effective turbine Enstrom can do." Enstrom's entire product line is currently certified in over 40 countries including the United States, Australia, and the United Kingdom. Germany, Frankfurt: A SAA South African Airways Airbus A340-600 on a flight from Johannesburg (South Africa) to Frankfurt/Main (Germany), was enroute at FL380 climbing to FL390 over Switzerland about 40nm southsoutheast of Zurich (Switzerland) when the aircraft encountered over speed, the speed over ground increased to 530 knots. The crew slowed the aircraft and continued to Frankfurt for a safe landing about 35 minutes later. The aircraft sustained multiple system faults in flight including the failures of Air Data Reference 2 (ADR2) and 3 (ADR3) associated with the autopilot and auto thrust disengaging and the fall back of the FBW into alternate law. Germany BFU reported the aircraft encountered an overspeed event, rated the occurrence a serious incident and opened an investigation. The occurrence aircraft remained on the ground for 3 days, then returned to Johannesburg as flight SA-4263. USA, Grand Strand, Horry County, Myrtle Beach: A Gulfstream 690C Jetprop 840 operated by C&C Flying LLC sustained substantial damage during an apparent force landing short of the approach end of Runway 36 at Myrtle Beach International Airport. The sole pilot onboard the airplane was seriously injured. USA, Swearingen SA227-AC Metro III NTSB Report: The USA NTSB concluded in its report into the Swearingen SA227-AC Metro III accident on 5 December 2016 near Camilla, Georgia that pilot's decision to initiate and continue the flight into known adverse weather conditions, resulted in spatial disorientation, a loss of airplane control and a subsequent in-flight breakup." The aircraft was on a flight from Panama City, Florida to Albany Airport, Georgia. En route the air traffic controller advised the pilot of moderate to extreme precipitation along his planned route of flight and suggested a route of flight that would have had the pilot fly to the northeast for 70 nautical miles to avoid the most severe most severe weather. The pilot responded that he did have enough fuel for such a diversion, but concluded that he would "see what the radar is painting." Shortly thereafter, the pilot advised the controller that he intended to divert the flight to Tallahassee International Airport (TLH), Florida. The airplane then descended from 7,000 feet msl to 3,700 feet msl before radar and radio contact was lost. The wreckage was scattered over a large area that included a cotton field and dense forest. The debris field was about 2,640 feet in length and 1,500 feet in width. USA, Laughlin AFB, Texas: A US Air Force (USAF) Northrop T-38C Talon of the 47th Flying Training Wing crashed at night at Laughlin AFB, Val Verde County, Texas. One of the crew survived with serious injuries, the other did not survive. A KLM Fokker F.VII makes the first flight from the Netherlands to the Dutch East Indies, taking 127 hours 16 min. The F.VII was designed as a single-engined transport aircraft by Walter Rethel. Five examples of this model were built for the Dutch airline KLM. One of these planes, registered H-NACC, was used in 1924 for the first flight from the Netherlands to the Dutch East Indies. In 1925. While living in the US, Anthony Fokker heard of the inaugural Ford Reliability Tour, which was proposed as a competition for transport aircraft. Fokker had the company's head designer, Reinhold Platz, convert a single-engined F.VII A airliner (a 1924 Walter Rethel design) to a trimotor configuration, powered by 200 hp Wright Whirlwind radial engines. The resulting aircraft was designated the Fokker F.VII A/3M. Following shipment to the US, it won the Ford Reliability Tour in late 1925. The Trimotor's structure consisted of a fabric-covered steel-tube fuselage and a plywood-skinned wooden wing.